The world’s first ayurvedic protein granola. 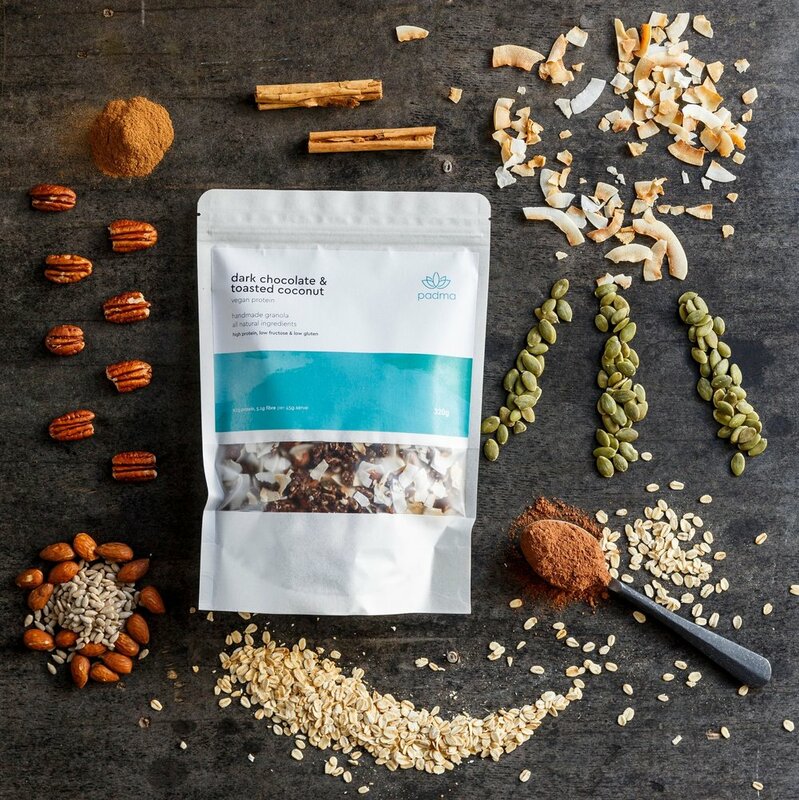 Our scientifically formulated, ayurvedic-inspired, all-natural, plant-based wholefood protein granola assists with digestion and gut health, regulates satiety, boosts energy and immunity. Packed with essential vitamins and nutrients to fuel your body. Say hello to better gut health. Our easily digestible, plant-based protein granolas provide you with your complete amino acid and nutritional requirements, improve gut health and keep you feeling energised and fuller for longer. They are incredibly versatile and can be consumed any time of the day and used in a multitude of ways, from breakfast to snacks and desserts, as a sprinkle on both sweet and savoury dishes, in baking or to make protein balls. Assists with the mobilisation of your body’s own fat stores for energy. Our immunity boosting, ayurvedic turmeric & chilli granola can assist in weight loss in combination with a balanced diet and exercise. Contains essential minerals including zinc, magnesium, manganese and vitamin B nutrients. A good source of beta-glucans essential for optimal intestinal health and has been scientifically proven to lower cholesterol. This protein booster is an incredible source of plant-based protein essential for lean muscle growth. Contains omega-3 and omega-6 fatty acids, folate and is a source of calcium, phosphorous, magnesium, zinc and vitamins. Kick start your way to a happier, healthier and leaner you with our 21 Day Optimal Gut Health Program. Padma Wellbeing was founded to provide people with well-balanced, nutritious food based on sound scientific and nutritional principles and out of love for our planet, its people and animals. A happier, healthier you, from inside out. Follow @padma.wellbeing for all things wellbeing and inspiring.